Today will be the first of a trilogy of beer reviews. Each of the beers will fall into a slightly different price category and will be offered as alternatives to the standard Bud or Miller you may be drinking. The first beer I will be reviewing falls in the middle of the price range at $8.50 for six twelve-ounce bottles (all prices will be what I paid for them at the local ABC liquor store before tax). 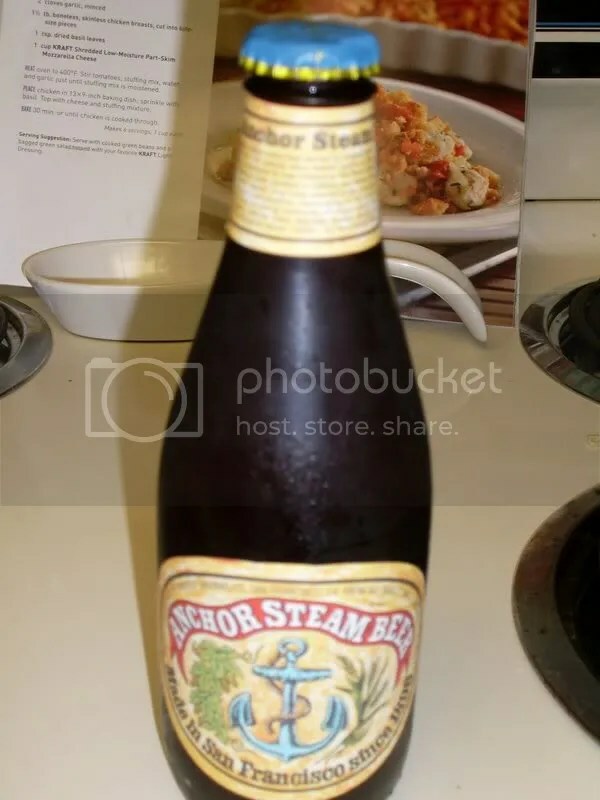 It also happened to be the beer I paired with my Bruschetta Chicken Bake and Ore-Ida Steam’n Mash potatoes for dinner Monday night.